April 19, 2017  The No. 1 ranked female tennis player in the world will take a break from the sport even as she is at the top of her game. January 26, 2017  For now at least, the Australian Open's final bracket is strictly for the over-30 club, as Roger Federer also earned a spot in the men's final. July 9, 2016  Already one of the greatest tennis players ever, Serena Williams won her seventh Wimbledon title in straight sets on Saturday. 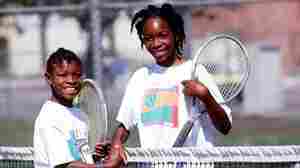 Later, she and her sister Venus won their sixth doubles championship. June 5, 2016  Spain's Garbine Muguruza on Saturday won the women's singles final 7-5, 6-4 at the French Open. On Sunday, Novak Djokovic and Andy Murray will face off for the men's singles title. December 14, 2015  In 2015, Williams won three major tournaments and lost only three of 56 matches. Some people, however, thought Sports Illustrated's honor should have gone to the Triple Crown winner.